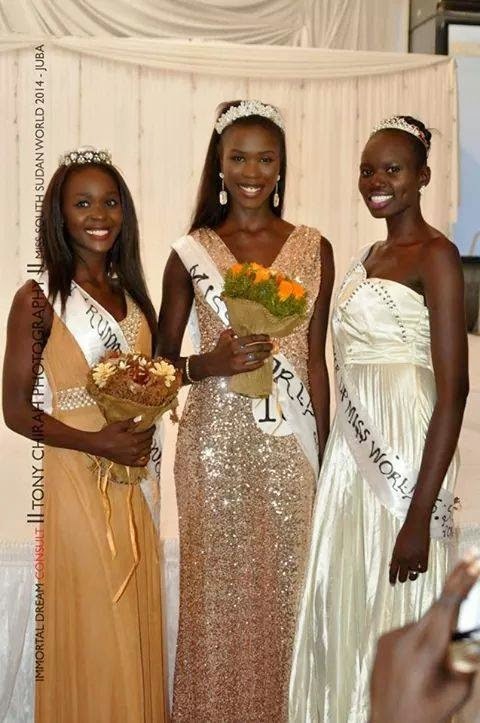 19-year-old Awien Bol Kuanyin Agoth was crowned Miss World South Sudan 2014 on September 12 at the Freedom Hall in Juba. She will compete in Miss World 2014 pageant to be held in London, England on December 14. 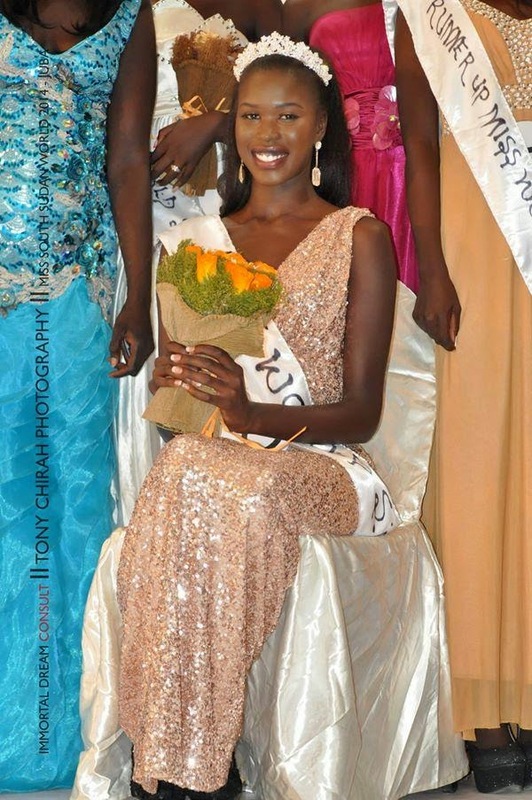 The 2nd runner-up is Salwa Ajuong (left) and the 1st runner-up, Mariam Nyach (right).